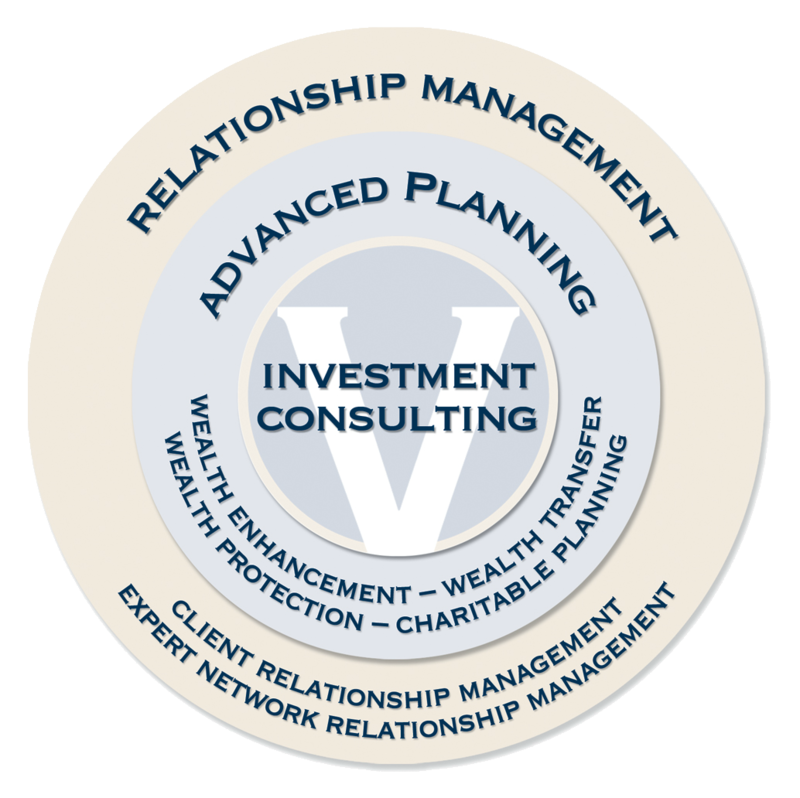 The following services are offered through our comprehensive wealth management process. However, we realize that every client is unique and may only need assistance in a few areas. We can determine which of the following services would be beneficial to you. Investment Consulting– We perform a thorough analysis of your current portfolio in order to present a detailed, actionable investment plan. We educate you on our investment philosophy and why our recommendations are a fit for your situation. Alternative Investments are used for qualifying investors to enhance your portfolio. Wealth Enhancement: maximizing your portfolio’s return while minimizing the impact of taxes and considering your risk tolerance. Wealth Preservation: determining the most tax-efficient method for distributing assets to your heirs in a way that meets your objectives and is congruent with your values. Wealth Transfer: protecting your wealth by mitigating risks associated with creditors, litigants and catastrophe. Charitable Planning: addressing your charitable legacy while enhancing efforts in the previous three areas. Relationship Management– We will help you assemble and manage a network of experts to build and maintain a strong, collaborative and consultative relationship. An Investment Policy Statement (IPS) is drafted to describe the investment philosophies and investment management procedures to be utilized, as well as your long-term goals. Your IPS is intended to provide a well thought out framework from which sound investment decisions can be made. Our advanced performance reporting system allows us to monitor your investment portfolio and deliver effective information to you at regularly scheduled investment review meetings. We use an industry-leading financial planning system allowing us to help you plan for short and long term goals. We can illustrate various scenarios and stress test the probability of success under various market conditions. As a premier client you are given access to our WealthView™ client portal. This unique web-based application provides you with one point of access to aggregate and view all your investment account balances and allocations. You have access to an assortment of personal financial reports and the ability to store important documents in a secure online vault.